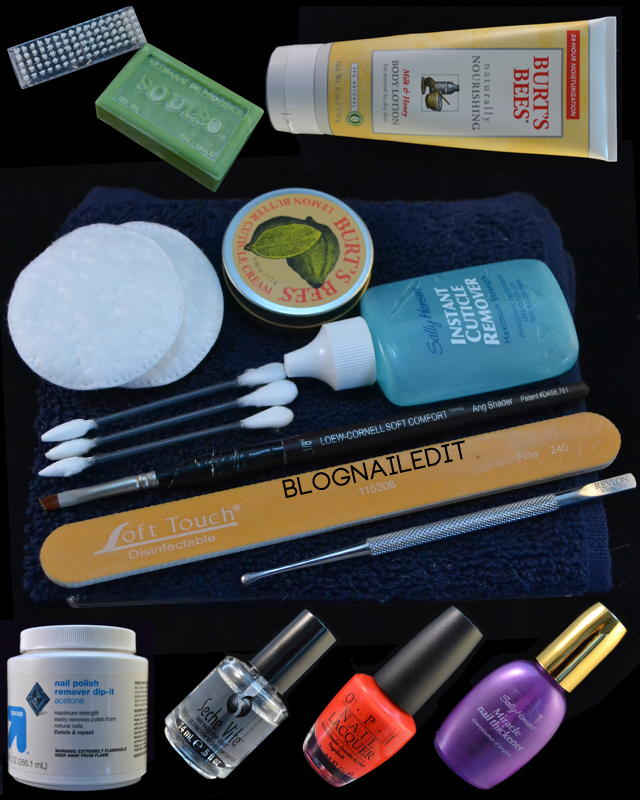 I've been asked by a few people how my daily nail-y routine goes, so I've put together this post with each step I typically go through when I do my nails. I'd like everyone reading this to take into consideration the fact that I am not a professional, nor have I had any training...ever. I've gotten one manicure in my life, and only been inside of a nail salon about five times in my life. What you're about to read is all my personal opinion concerning giving yourself a manicure, and so far, it's worked out well for me. I've gathered tips from other girls including Kayla, Lauren, Michèle and Amy Grace and compiled their techniques together to create my own. I fully expect you all to adapt these into your own. Lay out your tools. All of your tools. My tools are shown below, and are pulled out and returned to their place inside my Helmer each time I do a manicure. I can't stress enough the importance of being organized if you're going to do your nails. Leaving your polish all over your house won't just drive you nuts when you can't find the right color, but it may be driving your roommates even more crazy, noxious fumes aside. It may seem odd that I have two different containers for nail polish remover, but that's no accident. It helps me keep organized without ruining my manicure during cleanup. Staying organized is the biggest piece of advice I can offer to you. Don't have the tub? That's okay. You can still do your nails so wipe that forlorn look off your face. You will have to do slightly more manual labor, but not much if you take my advice. The best piece of advice I have for anyone frustrated about the idea of painting their nails is to invest in a bottle of 100% acetone. "What kind of remove should I use Katy?" 100% acetone. "Should I get remover that says it has acetone in it along with some moisturizer?" No. Get 100% acetone. "But Katy, I tho..." NO! 100% acetone! The time it takes to remove nail polish, including black nail polish, is cut down to a tiny fraction when you use 100% acetone. Just soak a cotton pad in acetone and get to work. Now, here's the thing about 100% acetone. It zaps your skin and nails of any moisture they were retaining. You'll watch your skin turn into an ashen, zombie color. So, with that in mind, let's move on to step 2. Now that you've fully removed your old polish and cleaned away the chemical warfare the acetone inflicted on your fingers, you're ready to shape. Next, I file my nails. File them. Never clip them. Letting them grow too long inevitably results in breakage. My nails are thin, so the shorter, the better. I fantasize about the day when my nails will look like some of the blogger girls out there, but alas, my fate is sealed. There are lots of different types of files out there, and I've tried several. I've used your typical run of the mill $0.99 metal file, newfangled double-direction metal files, glass files, and cardboard emery boards (all shown above). After reading what Kayla had to say about different levels of grit in files, I went to Sally's Beauty Supply and picked up a board with a grit of 240. I prefer this board because not only does the grit feel soft on my nail, but the pliability of the board itself makes filing easier for me. You'll want to file in one direction. It takes some practice to get that right, and can be tricky from some angles, but stay patient and give it time. If you rush it, you'll over-file, or file at a wonky angle, and then you'll wind up shorter than you'd anticipated. So be patient. Put on some Enya if you need to, just stay calm and take your time. Happy with the length? Then you've just leveled up! 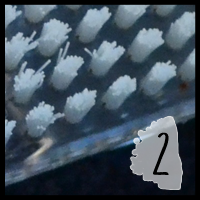 Let's get off all the extra cuticle around your eponychium (learn more about the difference between the cuticle and eponychium at Nevorpurify's Nail Art). 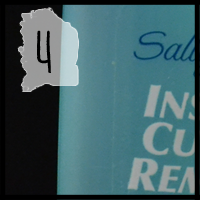 Lauren recommended using Sally Hansen's Instant Cuticle Remover gel. I love the stuff, and use it every time I remove. Shame on me for not following the directions though. This step is not something I do each time I do my nails. Just sometimes. Maybe twice a month, or whenever I'm feeling like my cuticles are extra gross. If you don't do this step, just push your cuticles back with a regular, rubber cuticle pusher, like this one. I'll apply the gel to all the nails on one hand. I coat all edges of my nail, including the portion under my nails. Then, using the metal cuticle pusher (shown right) from Revlon, I'll scoop the gel out from under my nails, and wipe it on the towel shown earlier. Towels are great. Good call, Douglas Adams. I like to use a towel here because I can drape it over my lap like a napkin when I'm in public at dinner. Quickly wipe the cuticle pusher on it without thinking. Repeat for each finger. Once all the gel is gone from under the nails of the first hand, use the scoop-side of the pusher again and trace the edges of my nails, getting off the excess goop and wiping it on the towel as I go. Wipe your nails clean on your towel, and repeat this process on your other hand. Wash and scrub. (Do you still have your fingerprints?) This time, add lotion, so your hands don't dry out while you patiently paint your nails. (I talk more about lotion later in this post.) Try to avoid getting much, if any on your nails. Just lube up your skin so it's not yelling at you while you paint. You want them to be totally clean for this next step. Apply your favorite base coat. Lately, I've been using Miracle Nail Thickener from Sally Hansen. It's not a strong adhesion base coat, so don't use this if you want your manicure to last. It does claim to provide better benefits for the health of the nails though. Thicker is better and I need it, so I chose this. Since I change polish so often, I don't care how long the polish lasts. I'd rather improve the health of my nails. I've also used Nutra Nail Thickener with green tea antioxidants and Sally Hansen Nailgrowth Miracle. They're all supposed to provide some sort of benefit to your nails, whether it be strengthening or growth. Here's the routine: paint the left hand, then the right hand. After applying the base coat to my right hand, I start painting my polish color on right away. Base coats don't take long to dry, so don't waste too much time waiting for it get ultra dry. Admit it, saving time wherever you can is essential to life. After all, we've got chocolate to eat. Don't fight your hormones, and paint on. I use the exact same technique Michèle shows here, so please visit her "How I Paint My Nails" post to get the technique down. Your first layer of polish should be done very slowly and carefully until you have gained enough practice to go quickly without messing up. The more care you take to avoid getting polish on your skin now, the less cleanup you'll have to do later, and the happier you'll be. The layers of polish after your first layer won't need to be as close to the edges of your nail, so you can speed up after layer #1. Paint one layer on your left hand, paint one layer on your right hand, then return to the left hand to paint your second layer. Keep your layers thin. In this case, if you try to rush, you'll wind up wasting time. So save time by taking time. (Deep, man.) It's much better to have several thin layers than one thick goopy one. It may seem more time consuming, but when your polish gets dented from chunky layers, you'll understand why it's recommended you do thin layers. Repeat as many times as necessary to get to your desired coverage. This may be 4 times for the sheers. That's okay. Time to clean up. If you are just beginning, you've probably got more cleaning up to do, in which case you should use Q-tips. They can clean up large amounts of polish before you need to grab a new one, and work better for really messy areas away from your edges. So get a bunch of extra color off, but don't get too close to your nails just yet. Once you've only got a little bit of tidying up to do close to the actual nail, grab a stiff paint brush (shown) or eyeliner brush for cleanup (Amy Grace recommends this as well). My paint brush says it's 1/8". Dip it in your 100% acetone. I've heard people using their nail polish remover lids as their dipping trays, but I know myself. I'm too clumsy and will spill when trying to pour the polish into the cap. You'll save your table's varnish if you follow my recommendations. I visited Micheal's (U.S. craft store) and picked up a small glass jar in the paint aisle. I have a feeling it's for fancy paint mixing, but for me it's the perfect acetone container. You can always get a bigger one, but I wanted mine to be small so I could store it in my Helmer easily. 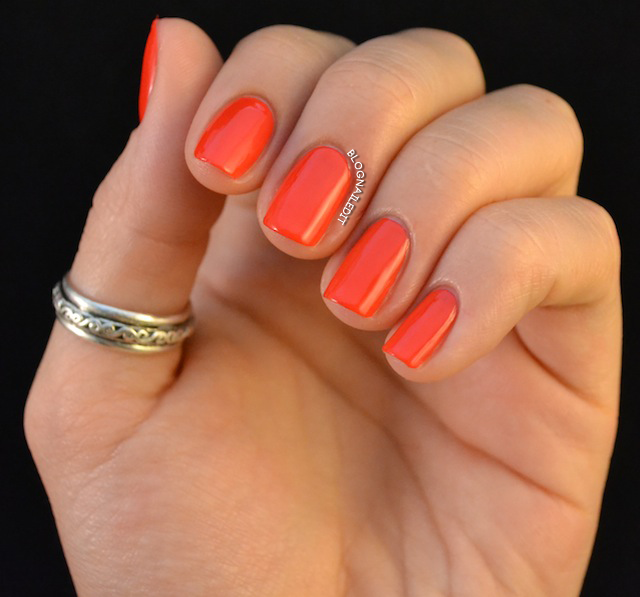 Dip your brush in the acetone, and wipe a little of the excess off on the rim of the jar or your towel. Then, paint the polish mistakes away with your remover. You may have to go over the same spot several times, each with a new dip in the polish remover, and a fresh wipe on the towel to remove excess remover and polish you've picked up. Patience, yet again, is a virtue. But I guarantee you, if you clock the time it takes with nail polish remover, and then the time it takes with acetone, you'll be amazed. Know what else is amazing? The fact that you're almost done. Finish your manicure with a top coat. If you're like me, you've already waited long enough for polish layers to dry, so invest in a quick drying top coat like Seche Vite or Fast Forward Top Coat from China Glaze. You won't have to wait long to move on to the next step if you use something quick drying, and the chocolate will be ever closer. You've reached your final step. Your journey has come to an end. Once you've let your top coat dry completely, you will wash your hands one final time. Towel dry thoroughly, patting your hands on the towel to ensure you don't drag any missed wet polish around your nails. To protect your hands and really feel luxurious about your new manicure, you will absolutely need to add some lotions to your hands. It's your choice whether you use cuticle balm before lotion, however, I do, and I always use Burt's Bees Lemon Butter cuticle cream. I've heard amazing things about Lemony Flutter from Lush cosmetics, but Burt's is so readily available and cheap that it's become my favorite. It doesn't hurt that it smells so good I could easily resort to using it as chapstick and eventually eat it. When it comes to lotion, use anything you like! Lately, I've been using Burt's Bees Milk and Honey body lotion. You only need about a pea-sized amount of lotion, regardless of the brand, to cover your hands. Much more and you'll wind up a greasy mess, leaving your mark grease mark on every door handle and loveable household pet you touch. Rub everything in really well, and voila! Your manicure is complete, and your hands are happy. So see? You don't need professional tools to get a good manicure, and it doesn't take more than half an hour once you get the hang of it. Stick with it, take your time, and turn on some good music or television while you work. (If Spotify is available in your country, you need it.) You'll often find me drinking a tasty beer while I'm painting my nails, and there's no rule that each step needs to be done immediately after the preceding step (except for washing your hands after using nail polish remover). Don't think of it as a chore and enjoy! I like your routine! 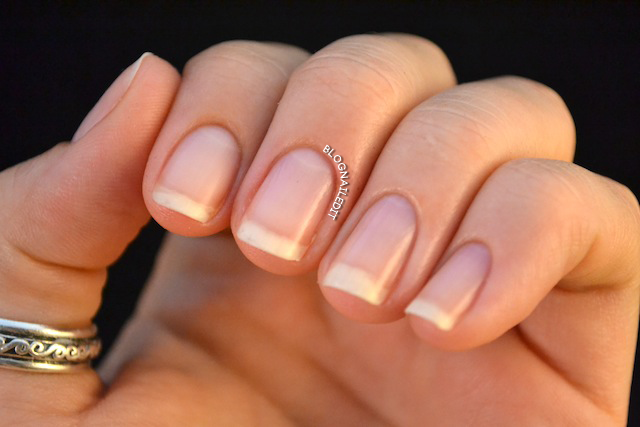 It's nice seeing what others do to keep your nails and cuticles in tip-top shape! This is awesome! Thank you so much for posting! You're very welcome! Looking through it again, I've noticed a few things I left out, so when I update it further, I'll make another post or Tweet letting everyone know there's additional information. Thank you so much - awesome information in this post! 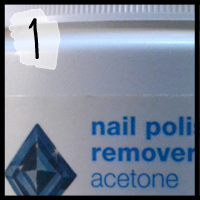 I am going to try the acetone tub thing - looks very handy! It's super handy. It'll change your life. And yes, I've been to Avery many times! Our office crew goes there after works sometimes to wind down. It's one of my favorites, though Boulder Beer is right up there with it. Avery probably has the better beer, but I prefer the environment at Boulder Beer a little more. They have a great outdoor seating area where you can bring your dog, and it's always nice to include the pets wherever you can. When you come, you should definitely check them both out. They'll often have special beers that aren't being sold and distributed widely or currently on tap or cask. There's usually some free brewery tours on weekdays as well. Boulder also has Mountain Sun Brewery, though I go for the food more than the beer. Denver's got a plethora as well, so look into some Groupon or Living Social deals as I'm sure there's some discounts available. Have fun when you get here! It's beautiful right now, so don't miss the hikes! Feel free to email me if you've got anymore Boulder-specific questions! I've only lived here about a year and a half, but hey, it's better than nothin'! Towels are great. Good call, Douglas Adams. Also, thanks for the great tips! 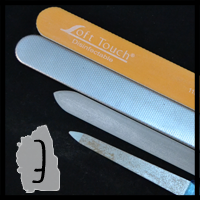 Do you recommend a metal cuticle pusher or a rubber cuticle pusher? Also, where did you get both of yours?